A “tiny house movement” has gained attention nationally as a reaction to the increased construction of larger homes. Popularized by the documentary “Tiny,” a television show, and other media coverage, these homes typically measure less than 1,000 square feet – a far cry from the typical American home. In 1973, the average U.S. home measured 1,660 square feet. Since then, U.S. homes have grown by over 60 percent to reach an average size of 2,598 square feet in 2013 – despite a slight dip in 2008 through 2010. 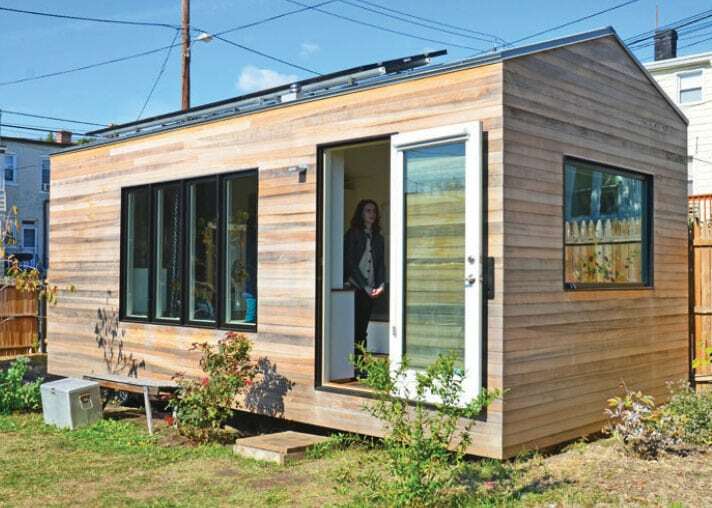 But do smaller homes actually use less energy? What are the factors that determine how much energy a house consumes? As the size of homes increases, so do the energy demands on it. There’s additional space to be heated or cooled, more lighting is required, and it’s likely that the number of appliances will increase as well. Examining only a home’s size will show a strong positive correlation between the square footage of a home and its energy consumption. To look at an extreme case, homes that measure over 6,400 square feet (the top 1 percent of homes) use two and a half times as much electricity as home sized at 1,600 square feet; but this isn’t the whole story. Other factors such as the age of the home, climate, income and behavior influence energy consumption as well. Energy Information Administration (EIA) data shows that homes built after the year 2000 use only 2 percent more energy than homes built before 2000 even though the newer homes are on average 30 percent larger and contain more electronic appliances. There are several reasons for this equilibrium in energy use despite the greater building size. First, homes are becoming more energy efficient. They are lit with CFLs and LEDs instead of incandescents and use more efficient appliances. For example, an older refrigerator can use about twice as much energy as a newer model of similar capacity. Second, homes are being built with more energy-efficient features. This includes better building shells, modern windows and more insulation. Larger homes in particular are more likely to include these types of energy-saving features. These changes are due not just to technological advances but policy changes that tightened building codes and raised the minimum energy efficiency standards for appliances. Programs such as EnergyStar have helped to educate consumers about the efficiency and cost-savings of their products. Lastly, more Americans are moving south to more moderate climates. This means that less energy is used on space heating, and although the southern migration has resulted in a 56 percent increase in energy used for air conditioning, it’s not enough to offset the space heating reduction. What this ultimately means is that the amount of energy a home uses is not pre-determined by its size. While moving into a tiny home may not be practical or possible — they are often not allowed under current zoning regulations and only make up around 1 percent of homes – realize both large homes and small homes have the potential to be efficient or inefficient. Rather than moving into a tiny home to save energy, consider looking into energy-efficient retrofits – contact your local electric co-op for ways to save. Thomas Kirk is a technical research analyst specializing in energy efficiency and renewable energy for the Cooperative Research Network (CRN), a service of the Arlington, Va.-based National Rural Electric Cooperative Association.